The SHS community could not be more excited to welcome Reese, her sisters and parents back home and to school. 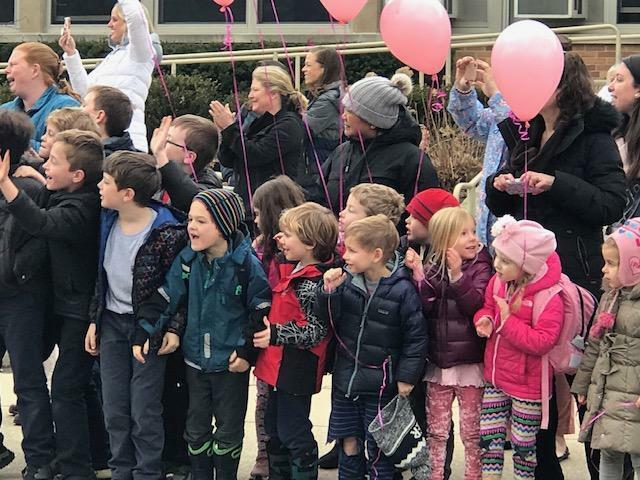 We hope you loved our balloons and school-wide cheering squad. After a year-long stay in the San Francisco area, Reese and her family have returned home. As her mom said, she valiantly fought childhood leukemia, and she won! We are so thrilled to have this family back. Their journey has been one of love and inspiration, and we shared our joy with them today.